World-renowned Sri Ganapati Tours & Holidays is a travel company positioned in Tripura. 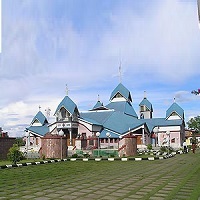 Manipur is the land of cultural and architectural brilliance. The famous tourism attractions of Manipur include Shree Govindajee Temple, Keibul Lamjao National Park, Loktak Lake and Churachandpur. The rich biodiversity of Manipur is conserved in the natural habitat conditions provided by national parks and wildlife sanctuaries of Manipur. Manipur State Museum demonstrates the rich cultural and historical heritage of Manipur. Khonghampat Orchidarium, Manipur Zoological Gardens, Loktak Lake and Sendra Island are some of the prime tourism attractions of Manipur. The folk culture and attire of Manipur local people also attracts a lot of attention from the tourists.